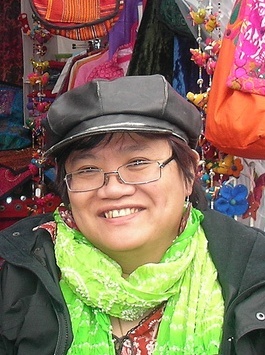 On 27 September 2012, Eleanor Lisney (and Michelle Daley) gave a presentation on BAMER (Black, Asian, Minority Ethnic and Refugee ) disabled person’s perspective at the ‘Re-thinking disability equality policy and practice in a hostile climate’ event. It is still relevant so we are reposting it here – (first published by Inclusion London but removed since their new website redesign). Rethinking Disability Policy and Practice in a Hostile Climate event held on 27th Sept 2012. Graphic by Stephen Hodgkins. This is a presentation from Michelle Daley and myself. Michelle is sorry she cannot be here today but we both would like to thank Inclusion London to give the BAMER disabled person’s perspective from the front line. In a group discussion once, we were asked what was the most important thing we’d grab in a fire or a flood and I said ‘my passport’. Why? Because a passport defines who you are – it defines your rights. It identifies you as a citizen – and in this country, it defines whether you have rights. A refugee does not have the same rights as we do – a disabled refugee would have even less rights. In rethinking disability equality policy in a hostile climate – do we include refugees, the stateless and migrants? who are campaigning together. We managed to get some disability activists to join the picket. how do we ensure that in rethinking disability equality that we include all voices – travellers, those in institutions including prisons, and those excluded groups? How about those who are citizens but do not know they have rights as disabled people? How do we make sure we include them? Its hard enough as a disabled person to negotiate barriers and discrimination when you are a native English speaker but for those who struggle with the language and are unfamiliar with the system and bureaucracy – how do make them aware that they have also a claim to disability equality? On the frontline, where Local Authorities are cutting back, how do we ensure that BAME people are not left behind in the ‘personalisation’ process, in the maze of bewildering social welfare reforms? Resources are being cut savagely, do DPOs who are struggling for their own existence include advocacy for those for whom English is not their first language? what happens to the practice of equality for all in this hostile climate? are some disabled being abandoned because DPOs are struggling themselves with the dwindling resources in terms of staff, time, finance and energy? The reality is that choices for disabled people are limited. Choice is an integral aspect of the principle of inclusion – it is about increasing people‟s freedom and opportunity to improve their life chances. However if we continue to have limited choices made available to us, our opportunities to achieve equality of opportunity will continue to be seriously limited. What this means is that our vision of a full inclusion is always being threatened. There is a serious erosion (and the expectations) of our disability rights signed in the Convention of rights for disabled people (CRPD). When I was interviewed on radio about access for disabled people, the interviewer opened the discussion by asking how in times of austerity at the moment, can we afford to have disabled access, are we being realistic to ask for expensive adjustments? Our rights as citizens and as humans are seen to be expandable and that goes across board as disabled people in the ethnic minorities, women, older people, those in rural communities. As cuts slash benefits, and impact on services and wages of those who already earn a barely minimum wage (including their families) there is a scramble on what they can get to survive. Many disabled people in BAME communities depend heavily on their families for their care needs and this recession means many of their family members are made redundant and the first people to be impacted are poor people in those communities – many of whom are living in bad housing and maybe desperate conditions. I didn’t come with shocking statistics to prove that life is harder in the BAME communities – this is not that kind of a conference I feel. It’s more important for me to emphasise, as Michelle says, the different journeys of BAMER disabled. We are also impacted by what happens to our communities and our young people. In my local community forum, in the stop and search police procedure, I question the status of continuing discrimination against disabled BAME because of the colour of their skin or their faith. Who advocates for them? When you get doubly discriminated who do you go to for help? What about BAME disabled women when it comes to violence against women refuges or in hospital environment when they have accessibility needs as well as dietary and other faith needs? Equality Act 2010 covers some of those rights in the ‘protected characteristics’ but I do not think we know what happens when they intersect. It’s too new and I’m not a lawyer but I do know there are not that many case laws to draw upon. This presentation comes from our dialogue, Michelle and I, with each other, we both care passionately about the disability movement but also as disabled people from those BAMER communities and we ask you not to have silos – As Michelle says : Positive and real change can only be achieved with the inclusion of everybody. ROFA (Reclaiming Our Futures Alliance) was formed since this event. We urge everyone to join, have their voices included and come to the conference on the 14th July. Eleanor Lisney is a founder member and coordinator of Sisters of Frida. She has represented them in Geneva for CEDAW and in NYC for UNCSW. She is an access advisor, an NUJ member on the New Media Industrial Council and the Equality Council. She is also on the British Council Disability Advisory Panel and the web team of the International Network of Women with Disabilities. She enjoys being on the EVA (Electronic Visualisation & the Arts) London organising committee. Michelle Daley has over ten years experience working in the field of disability. She has worked for a number of organisations at local, national and international levels to develop, promote and implement policies on equality and diversity. She is one of the founder members of Sisters of Frida. Her work has played a major role in promoting and influencing the inclusion of disabled people in the mainstream society. Michelle was a former member of Equality 2025, the Independent Living Scrutiny Group and currently a trustee of Independent Living Alternative. She has passionately worked at the grass root level addressing issues such as access, education, independent living and cultural diversity.